Review of Greene - "A CAMPAIGN OF GIANTS - THE BATTLE FOR PETERSBURG, VOLUME 1: From the Crossing of the James to the Crater"
By an odd twist of fate, some of the Civil War's most momentous and iconic campaigns have for a long time been among the most neglected in the published literature. Fortunately for readers, some of these gaps are finally being filled. While the Seven Days still languishes far behind, exceptionally good book-length coverage of Atlanta Campaign battles has emerged of late. The same is true for the 1864-65 Richmond-Petersburg Campaign. While only a small number of widely spaced Petersburg volumes trickled out over previous decades, the last ten years or so have witnessed a steady stream of first-rate titles addressing may different aspects of the campaign. However, until now no one has attempted a truly in-depth military overview of the entire ten-month series of operations. 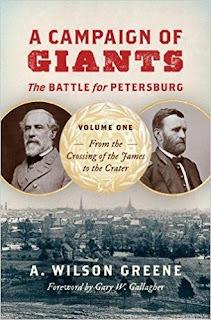 Part of a planned trilogy, A. Wilson Greene's A Campaign of Giants - The Battle for Petersburg, Volume 1: From the Crossing of the James to the Crater is a highly successful first step toward reaching that long elusive goal. Undoubtedly, the great majority of readers who will find A Campaign of Giants appealing are already familiar with Gordon Rhea's much celebrated Overland Campaign series. 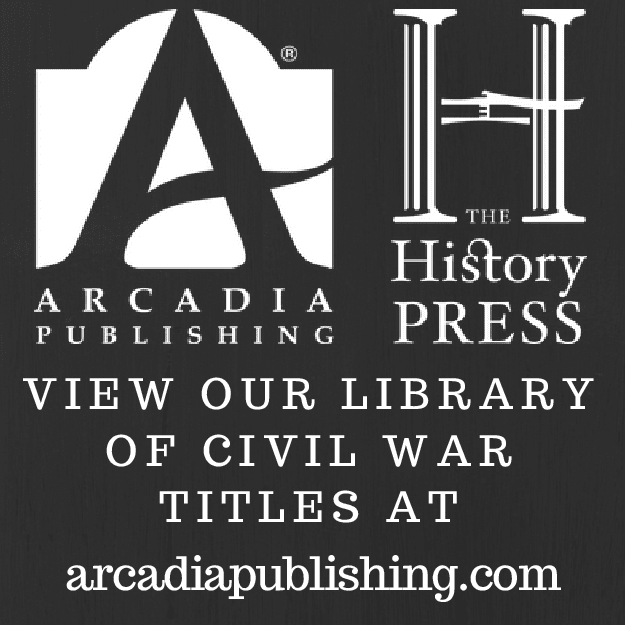 Those who have finished Rhea's recently published final volume in the series will find in this book content overlap regarding mid-June events placed at the end of the Overland Campaign by Rhea and the beginning of the Petersburg Campaign by Greene, in particular the famous crossing of the James River and the failed promise of the initial Union assaults on Petersburg. In the opening sections of Greene's narrative there is wide agreement between the two authors' views of the strategic-operational picture of the eastern theater during this time. Similarly to Rhea and others, Greene describes the Army of the Potomac's Cold Harbor disengagement, its march to the James, and the crossing of that wide river in the face of the enemy as remarkable operational achievements (with a few moments of inevitable 'friction of war' along the way). The lead up to and execution of the June 15 attack on Petersburg is where things were badly botched by Grant and Meade. The general who would lead the operation, William F. Smith, was not even informed that he was to organize an assault on Petersburg until after he rejoined Benjamin Butler's Army of the James at Bermuda Hundred. This left Smith with precious little time to regather his units and organize the march in accordance with Grant and Meade's timetable. Compounding the confusion, Smith was also told to expect direct support from Winfield Scott Hancock's Second Corps, but no one told Hancock this! When Smith did eventually reach the outskirts of Petersburg, he did not press the attack against the city's badly outnumbered defenders, an oversight that most observers still deem one of the war's most significant lost opportunities. Like Rhea, Greene is more forgiving of Smith's caution than the majority of contemporary and later critics have been. Unlike some, the author is not eager to attribute hesitation before the Petersburg earthworks to 'Cold Harbor Syndrome', but feels (like Rhea does) that Smith was clearly taken aback by the stiff resistance at Baylor's Farm and the stronger than expected appearance of enemy strength in men, guns, and fortifications at Petersburg. Assigning the lion's share of blame for any given military failure to one man remains a popular temptation among authors, but Greene admirably resists that brand of simplicity. Instead he judiciously interprets the historical arguments critical of Grant, Meade, Smith, Hancock, and Butler, and finds (as the saying goes) plenty of blame to go around. If not justified, at the very least the actions of the lead actors in the failed drama become explicable. 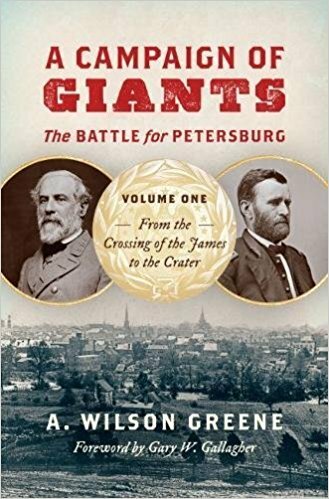 The failure to seize Petersburg on the 15th is popularly seen as a Union blunder of epic proportions, but the book also well reminds us that there are two sides to every victory and defeat. On that day the oft-mocked Henry Wise proved himself more militarily competent than he ever had before, though his extremely poor combat record up to that time makes one wonder why Beauregard did not take personal command at Petersburg himself rather than entrust the entire front south of the Appomattox to the unreliable Wise. At this time, Benjamin Butler also took the opportunity of thinning Confederate defenses to damage the vital rail connection between Petersburg and Richmond. He's been criticized for not holding the ground taken, but Greene persuasively withholds strong censure, citing Grant's cautious orders and the arrival of substantial enemy reinforcements. On June 16, Meade attacked right to left with Smith and Hancock but failed to make much headway. Greene is justifiably critical of the federal plan of battle, which dissipated assault strength by spreading divisions thinly over a wide front instead of concentrating them on a narrow front for one powerful punch. Only lightly engaged on the 16th, it would be Burnside's turn to shoulder the responsibility for the main attack on the 17th, his Ninth Corps going in just south of Hancock. With Lee still withholding the bulk of the Army of Northern Virginia from the Petersburg front, the force disparity on the 17th would be even greater than on the previous two days. One could argue that Burnside's assault with Robert Potter's division was the best arranged and executed of the campaign so far, seizing a mile of earthworks and gathering in as many as 600 prisoners from one Confederate brigade alone along with all of the enemy artillery at the cost of only 150 men. Unfortunately for the Union army's breakthrough prospects, no arrangements had been made to exploit Burnside's gains. After Potter's success, Hancock was directed by Meade to launch another assault. Though Hancock later claimed he complied with the order, Greene could find no evidence that he did. Later, Gouverneur Warren's Fifth Corps arrived behind Burnside and deployed on the Ninth Corps left facing the new Confederate defense line. There were more uncoordinated divisional attacks, with no sustained gains, for the rest of the evening before darkness ended the fighting. On the 17th, Beauregard, by constantly feeding Lee contradictory information and inexplicably failing to notice the arrival of Burnside's Ninth and Warren's Fifth corps until many hours had passed, contributed little to improving Lee's still uncertain grasp of the overall situation on the Richmond-Petersburg front. These serious intelligence oversights aside, Greene justly praises Beauregard for containing all of the June 16-17 Union offensives. Even so, the author is probably correct that it was the self-inflicted series of command and control failures by Grant, Meade, and Butler (inexcusable by veteran commanders at this stage of the war) that were primarily responsible for keeping the federals out of Petersburg. Though they certainly don't place the author in the same room with the most violent critics, Greene's fault-finding interpretations of Grant's actions do somewhat tap the brakes on today's increasingly reverential portrayals of the general's operational genius. After limited headway on the 17th, Meade planned for the following day a coordinated mass assault by all four corps, but the initial advance hit empty trenches as the Confederates had already pulled back westward from the Hagood Line to the more compact Harris Line. The second phase of the attack, launched at midday with Lee himself finally present, quickly went to ground. Meade, angry that his veteran corps commanders could not advance simultaneously at the appointed hour, still expected each corps to attack. Their heavy but localized frontal attacks (including the famous doomed charge of the 1st Maine Heavy Artillery) were the order of the day for the rest of the 18th. All were repulsed with great loss. Greene is mildly critical of Meade for not attempting to seek out Beauregard's southern flank and get around it before Lee arrived on the scene in greater strength, but an argument could be made that the front was not truly developed until late in the crucial 72-hour window when the force disparity between the two sides was at its most extreme (perhaps only by midday on the 18th). For those puzzled by Grant's hands-off approach to June 15-18, the author suggests that this was consistent both with his current general-in-chief position and the wide latitude Grant typically gave key subordinates in earlier campaigns. Regardless, one would think that Grant would have wished to more personally direct what most sensed to be the crowning moment of the 1864 summer offensive in the East. Unstated is whether the author believes that Grant was aware that the corps commanders were losing confidence in Meade. On the other side, Greene tempers the general praise directed toward Beauregard (noting that defending behind earthworks offered little opportunity for exceptional generalship), but the Louisiana general certainly deserves credit for keeping his head and his men in hand against fearful odds. Beauregard also effectively managed successive lines of defense against extreme pressure, which was no mean feat. Greene finds that Lee's reactions to events (often perceived in the literature as unduly slow) were actually quite reasonable given continued uncertainty and contradictory information coming from Beauregard. Greene describes Grant's Second Offensive as "delusional" in conception. In the author's view, nowhere near enough troops were assigned (David Birney's Second Corps and Horatio Wright's Sixth Corps) to both pass around the Confederate right and reach the Appomattox River while also maintaining solid contact with the rest of the army. During the operation, Birney and especially Wright did not advance with the expected alacrity and their actions allowed the Confederates to seize the initiative. With support, William Mahone's Confederate division punished each Union corps severely on successive days (the Second Corps on June 22 and the Sixth on the 23rd), with the first riposte—one of the war's most impressive feats by a division—coming close to routing the entire Second Corps. Coming closely on the heels of June 15-18, these fresh federal defeats demoralized the Union army, and the book argues that the comprehensive rebuff of the Second Offensive forced an operational pause upon Grant that led the Union commander to realize for the first time that his initially promising Southside campaign could not end anytime soon. While Greene's study is mostly concerned with military operations, the narrative does occasionally pause to dwell upon other topics. One chapter offers a fine discussion of how Petersburg's white and black residents reacted to the early stages of the campaign and what they did to adapt to their new living situation. Civilian and military authorities alike decried the heavy bombardment of the town, which commenced without prior notice for the evacuation of noncombatants. Though the lack of resources for transportation and care of refugees is duly noted, the Confederates surely should have preemptively evacuated those portions of the town most likely to fall within range of Union siege guns. Much of the population ended up staying, and Greene vividly describes their life under fire and their daily struggles to feed themselves and maintain as much normalcy as possible under frightening circumstances. Though trench life at the fighting front will very likely be addressed at great length in subsequent volumes, accompanied perhaps by a more in-depth discussion of the transition from mobile field operations to more static warfare [in the meantime, see Steven Sodergren's The Army of the Potomac in the Overland and Petersburg Campaigns: Union Soldiers and Trench Warfare, 1864-1865 (2017)], Volume 1 does delve into the initial impressions Union and Confederate soldiers had of the experience. Greene's reading of Confederate journals and letters written during this period found much more optimism than gloom. Rather than viewing the failure of Grant's first two offensives as just the beginning stages of inexorable defeat, most Rebels felt confident that the badly-blooded Union host would soon be forced to withdraw altogether. In stark contrast with the campaign's final stages, the flow of Union deserters greatly surpassed their opposite number during this time. Curiously, Confederate officials decried the level of disorder these enemy deserters caused behind the lines, which brings to mind that Civil War desertion studies generally neglect to examine how authorities handled enemy deserters once passed to the rear. 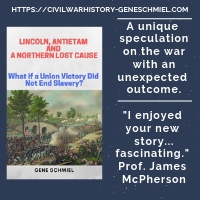 Even though their efforts were stymied at a shockingly high cost in human lives, most low-ranking officers and men in the Union armies in the East seem to have retained confidence in Grant as the right man to see things through to the end. The book then describes the operational lull on the Petersburg front that existed between the end of the Second Offensive and beginning of the Third Offensive (which would include the Crater debacle). Reminding readers that there was always action of some kind going on, Greene recounts a number of smaller-scale actions that occurred (along with some aborted larger ones) during this 'inactive' period, also showing that close proximity led to heavy cumulative losses from daily shelling and sharpshooter fire. Greene's lengthy discussion of the preparation, fighting, and aftermath of the infamous Crater battle is a fine one. His investigation into the training of Ferraro's Fourth Division (the Ninth Corps's attached USCT division that was initially assigned to lead the attack) most likely explodes lingering myths that the black troops were specially trained for the operation (the best evidence gleaned from those actually in the units tagged for the job is that they were not) and their replacement by white troops late in the planning stage was thus a colossal blunder. The author also is likely more correct than others have been in describing the attitude of the Union high command as more apathetic than disdainful of the mine. Grant's apparent lack of interest is curious given that underground explosions of a similar nature were to have played a major role in the July 6 general assault at Vicksburg that was planned but ultimately never occurred due to the garrison's surrender. Perhaps his memory of the meager results of the detonation of the 3rd Louisiana Redan mine earlier in the siege led him to distrust the lofty promises of mining operations. Regardless, at least early on the Petersburg mine was not considered a fundamental part of Grant's upcoming Third Offensive, with the movement north of the James by Hancock and Sheridan deemed the primary action. However, Meade's suggestion that the defenses opposite Burnside were vulnerable led Grant to rethink the importance of the mine explosion to his overall plan. Among other moments, this consistent brand of indecision leads Greene to broadly characterize Grant's operational planning at this early stage in the Petersburg Campaign as highly vacillatory in nature. Only after Hancock and Sheridan's advance fizzled at First Deep Bottom, with the addition of solid evidence that Lee had sent major reinforcements north of the James, did Grant offer his full backing to a major assault on Burnside's front, where he ordered the Fifth and Eighteenth corps to support the Ninth. Greene joins many other historians in assigning primary blame for the debacle to Meade and Burnside. As mentioned above, Meade nixed Burnside's assault preparations at the last moment, forcing him to swap the all-black Fourth Division with another and fundamentally changing the plan. With only twelve hours to comply, Burnside then inexplicably had his division commanders draw lots to determine who would lead the attack, the unfortunate result being the least capable commander (James Ledlie) would spearhead the operation. Compounding Burnside's poor judgement, Ledlie, either willfully or through misunderstanding, then proceeded to change the newly agreed upon plan of action midstream. It was a mess all around. In the author's view, by approving Meade's late meddling Grant also assumes some responsibility for the ensuing debacle. Given its weight as the most famous, most ferociously fought, and most controversial event of the entire Petersburg Campaign, Greene discusses the Crater fight and its immediate aftermath in great detail. 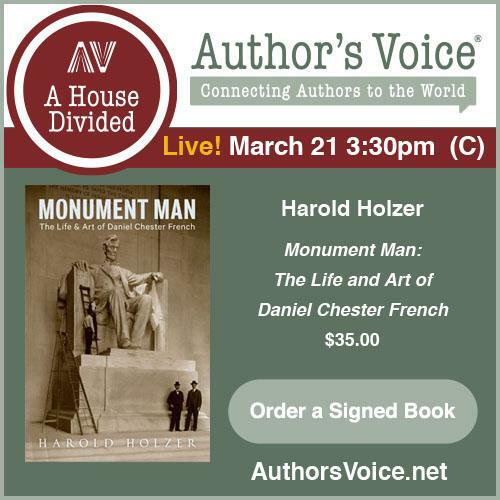 As is the case throughout the book, the section is immeasurably enhanced by the great multitude of firsthand accounts authored by participants of all ranks and from both sides. Greene describes at length how the attack quickly bogged down after initial penetration of the mine-shattered landscape. In addition to the Crater itself only short stretches of line were captured to the north and south, the result being that each new wave of attackers only served to crowd the front. This teeming mass of white and black soldiers became highly vulnerable to counterattack, and the Confederates were happy to oblige. Though the defenders had already largely sealed the breakthrough, the determined advance of Mahone's Division into the breach transformed the Union effort from mere defeat to disaster. Greene recounts in vivid detail the brutal hand to hand fighting in and around the Crater, emphasizing the exceptional racial animus felt between Confederate and USCT soldiers, who often engaged in no quarter fighting when facing each other. The presence of ex-slaves in blue uniform (seen as the embodiment of servile insurrection) deeply angered Confederates of all ranks. The Crater provided them with the opportunity to fully vent their rage, which was taken to fearful lengths during and after the battle. Greene's account of the fighting confirms the traditional story crediting Mahone for finally halting the wholesale killing of wounded and surrendered USCTs. It is here that the book ends. While terrain detail is a bit inconsistent in the tactical maps, the book's nearly three dozen original maps of all scales follow the course of the text well and are an immense help to readers now unfortunately becoming accustomed to history publishers skimping on cartography. The great number and breadth of primary and secondary sources listed in the volume's nearly 50-page bibliography is impressive. In addition to mastering the existing literature, the author deeply mined manuscript archives located all across the country. Wish-list items might include opposing orders of battle at regular intervals (something akin to what Ed Bearss did so well in his classic Vicksburg trilogy), but perhaps the final volume will have an appendix section containing that type of supplementary material. Though most readers are probably already exhausted after 500 pages of densely packed narrative, some kind of recap might also have been usefully inserted before what is otherwise a quite abrupt 'to be continued' ending. Greene's assessments of the opposing high commands are judicious throughout. With his initial delay in sending reinforcements more understandable in Greene's view than many critics allow, Lee probably receives the highest marks, while Grant's much vaunted operational skill is more suspect. Meade is an interesting case. While the literature has spawned a small but ardent crop of Meade defenders in recent times, Greene's work seems to imply that the general's usefulness had passed by this early stage of the Petersburg Campaign. As many others have observed, the extra command layer inherent to the Grant-Meade arrangement did not smooth the conduct of operations in the field. What it did do was free Grant from day to day management of the armies, leave him with more mental time for formulating strategy, and diffuse criticism. Just how much of a positive balance came out of this trade-off remains open to debate. In the introduction to A Campaign of Giants, Greene is surely correct in noting that an exhaustive military treatment of the Petersburg Campaign would fill many more volumes than he has planned, but he is too modest about the very impressive scale of his own work. The level of detail and insightful analysis achieved in Volume 1 should more than satisfy even the most demanding readers of Civil War campaign studies. Even at this early stage in the process, there exists few doubts that the trilogy will eventually rank among the classics of the field. * - [addendum 12/16/18]: click here for an update regarding the author's views on Meade. An excellent review (and overview) of the first volume of this trilogy Drew. Very much looking forward to reading it, the next two volumes and your reviews of them. Drew, Thank you for the in-depth review. Have you read Bearss's Petersburg Campaign Study? If do you think this will become the new standard of the Petersburg Campaign? Sorry, Curtis. I just found your comment today and emailed you my answer. Thank you for your lengthy (!) and perceptive review, Drew. Much appreciated. I was holding my breath that the first book of this trilogy would show much promise. I went mildly insane. The great length of the book required detailed notes on an ongoing basis, and they really added up! Hallelujah! A Rhea-esk treatment of the Petersburg Campaign is one of the most glaring needs in Civil War writing and Greene should be an excellent choice to tackle the subject. I greatly look forward to the complete trilogy. This excellent review of yours ensures I will buy this book. Thank you so much for this in-depth review. I am inclined to buy the book soon. Was there any praise for General Grant all throughout the book? Thank you so much for this in-depth review. I am inclined to buy the book now. Was there any praise for General Grant at all throughout the book?